Minimally invasive facial plastic surgery is a concept based on customizing treatments with the most advanced surgical techniques providing excellent cosmetic results while minimizing surgery and recovery time. Dr. Bassichis personally designs each procedure using state-of-the-art methods to achieve the best aesthetic and recuperation outcomes for his patients. Minimally invasive facial surgery with our Facial Plastic Surgeon Dr. Bassichis has many patient advantages including: small and virtually invisible incisions, less bruising, less swelling, more rapid recovery and return to normal activity – with natural appearing, rejuvenated, long lasting results. The surgery is done as an outpatient procedure. Examples of the many minimally invasive facial plastic surgeries performed by Dr. Bassichis include the MiniLift which avoids large incisions and extensive surgery while rejuvenating the face. 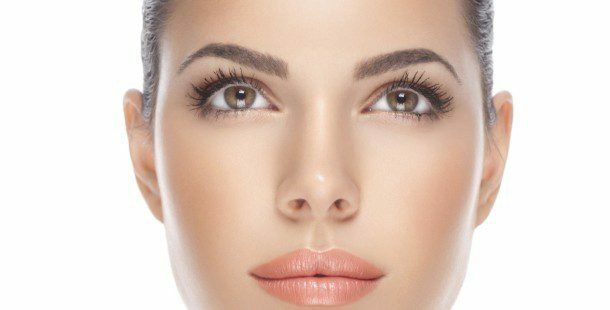 Procedures such as upper blepharoplasty have invisible incisions through which a browlift may also be performed. Other procedures such a chin or cheek implants and facial liposuction also achieve significant results with minimum recuperation time and virtually invisible scarring. Neck liposuction can also be immensely rejuvenating and carries limited surgical exposure and downtime. Any minimally invasive procedure be combined with other procedures such as fractionated CO2 laser resurfacing, PhotoFacial, Botox, Fat Transfer and Facial Fillers, to significantly improve your appearance without an extended recovery period. 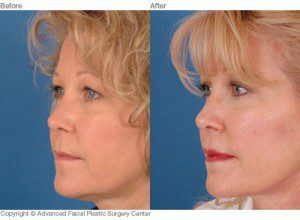 This is an excellent option for patients seeking effective rejuvenation with minimized downtime. We invite you to see Dr. Bassichis for your personal surgical consultation. We are happy to customize your facial procedures to accommodate both your aesthetic concerns and busy calendar.